Permission-based email marketing is marketing by emails to those who have given consent to receive your emails. This is an "opt-in" approach whereby they agree to hear from you. And they can also choose to "opt-out" anytime if they want to stop hearing from you. You may ask who in the world will want to see your advertisement?! The spirit of permission marketing is a two-way give and take relationship. You give them something and they in return agree to hear from you. Many web sites offer goodies that visitors will voluntarily agree to hear from you. Examples are such as free emails, free software, free information, free updates and others. Some web sites, such as Webportal.com.my, also offers free newsletter delivered to your mailbox. E-mail Database List Rental: Helping marketers reach their selected target audience effectively through our aggregated opt-in profiled e-mail database. Database Acquisition Services: Helping companies to obtain consumer opt-ins and opt-outs by employing creative techniques and CoRegistration Services to motivate sign-ups and at the same time adhering to the best practices in Permission Marketing. Craft out the appropriate permission-based email marketing strategy for your market. Provide a way to elicit email addresses of visitors to your web site. Manage the mailing list for you, or teach or help you to manage the mailing list yourself. Provide consultation and help design hard hitting effective email newsletters for you. Send out the emails on your behalf by using our customizable software to ensure all mails are personalized to each recipient. For Subscribers/Members to Webportal.com.my, it’s a FREE and SIMPLE way to get the latest information, news or special offers on products and services as well as personal invitation to exclusive events. 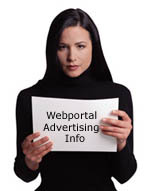 Webportal.com.my will deliver the information you need most today straight into your e-mail inbox. We deliver VALUE to you! So, register yourself today. For Marketers/Advertisers of B2B or B2C marketing campaigns, you can tap into our aggregated database of profiled subscribers/members who have given permission to receive your marketing messages without having to set up any infrastructure.